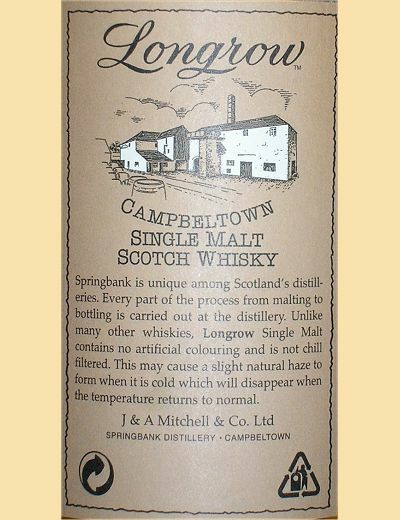 Longrow is the peated, double-distilled single malt produced at the Springbank distillery in Campbeltown. The attention to detail used and refusal to meddle with the old way of doing things must be a major reason for the quality of whisky produced at Springbank, which is frequently feted as amongst the very best in Scotland. The reputation of some of the malts produced at Springbank in the last few decades is almost unparalleled. Longrow Single Malt whisky is amongst the best to come from the distillery and depending on your budget you can pick up a whisky with an excellent reputation.